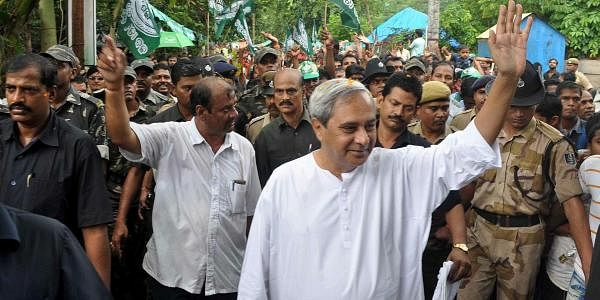 Even as the Congress concludes its eight-day-long \'Parivartan Yatra\' with a public meeting at Sakhigopal, Chief Minister Naveen Patnaik on Tuesday went on a mass contact drive in Bhubaneswar, particularly reaching out to the slum pockets as part of the \'padayatra\' programme launched by the Biju Janata Dal. Even as the Congress concludes its eight-day-long ‘Parivartan Yatra’ with a public meeting at Sakhigopal, Chief Minister Naveen Patnaik on Tuesday went on a mass contact drive in Bhubaneswar, particularly reaching out to the slum pockets as part of the ‘padayatra’ programme launched by the Biju Janata Dal (BJD). The Congress leaders were optimistic about the party returning to power in 2014. Calling upon the people to bring a change in the next elections, the Congress leaders said the people of the State will give a fitting reply to the BJD. There will be a Congress government in the State after two years, Odisha in-charge of Congress and former Union minister Jagdish Tytler said. Thanking the people for the massive support during the eight-day yatra, Odisha Pradesh Congress Committee (OPCC) president Niranjan Patnaik said the success of ‘Parivartan Yatra’ has given a boost to the anti-Naveen campaign in the State. Naveen, on his part, raised the bogey of Central neglect during the mass contact programme at Salia Sahi, the largest slum pocket in Bhubaneswar. Listing out the welfare schemes launched by the BJD Government from its own funds for the poor and steps taken for women empowerment, Naveen said the Centre has always neglected the State. Odisha has always been a victim of politics in the field of railways and promotion of tourism. Bad management of the economy has pushed the country to a crisis. “The Centre has ditched the poor by talking about the government of aam aadmi,” Naveen added. The UPA Government, which is sitting on a mountain of corruption, should fall, Naveen said, adding that the decisions of the UPA had hit all sections of people. By raising the price of diesel and LPG, it has imposed extra burden on a large section of people, he said. The three MLAs from Bhubaneswar, Bhagirathi Badjena, Ashok Panda and Bijoy Mohanty, Bhubaneswar district BYJD president Babu Singh and several other senior leaders attended the meeting presided over by Bhubaneswar district BJD president Prakash Bastia. The mass contact programme of the BJD, launched on October 2, will continue till October 11.